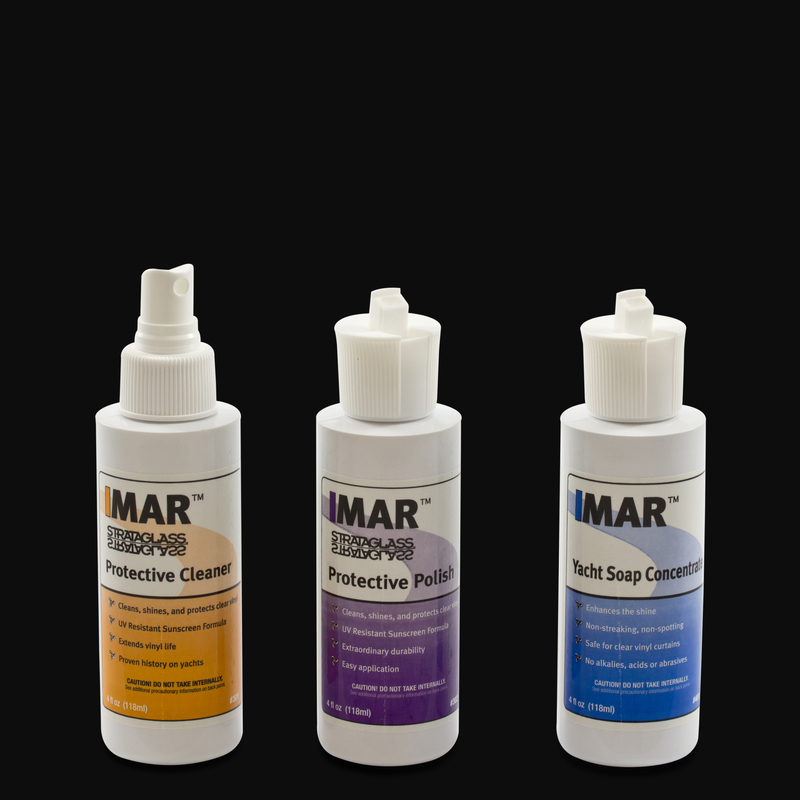 Detail Kit #42 contains one each of IMAR Strataglass™ Protective Cleaner, IMAR Strataglass Protective Polish and IMAR Yacht Soap Concentrate. 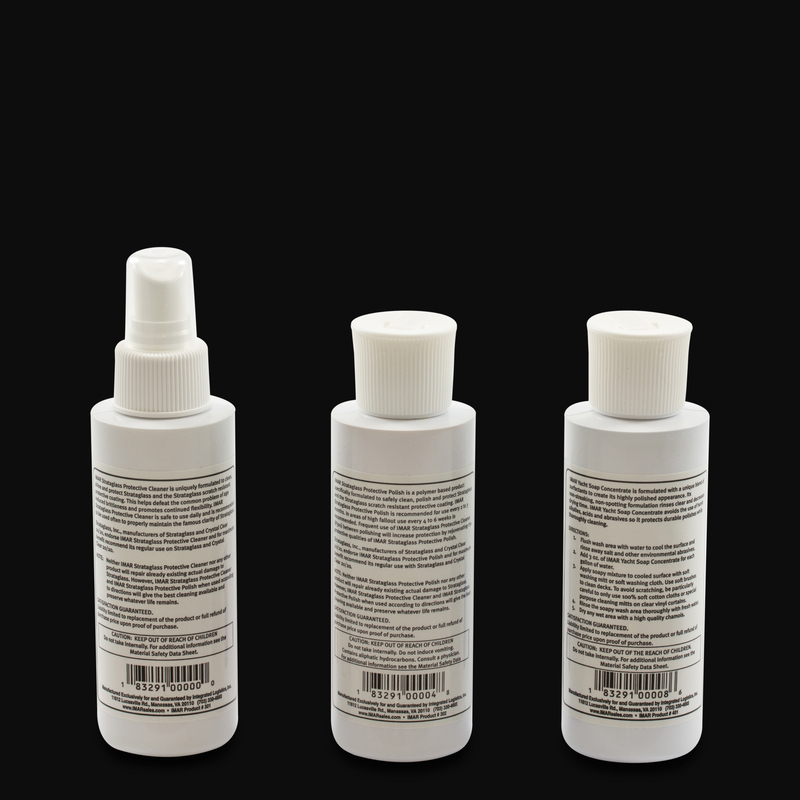 All in 4 ounce sizes. 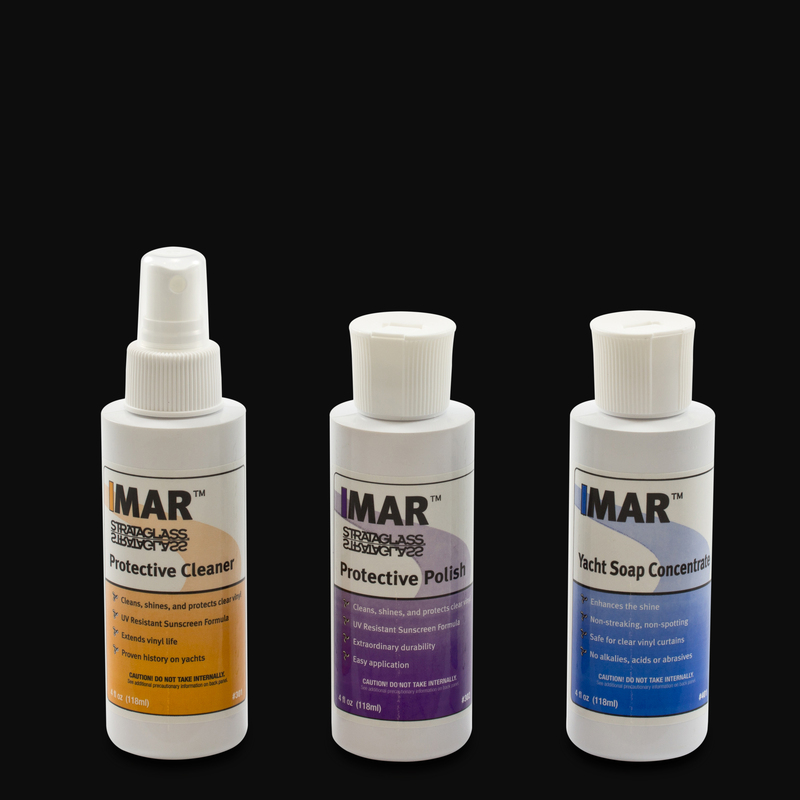 Trademark: IMAR™ is a trademark of IMAR Products, LLC. Strataglass™ is a trademark of Strataglass, LLC.